It’s been more than a year since Hurricanes Irma and Maria left their mark on the Caribbean. So there’s no reason not to go. Spots like Water Island are back in business and welcoming travelers. A 10 to 15-minute ferry ride from St. Thomas, golf carts outnumber cars here. And the beach, is as lovely as it is quiet. 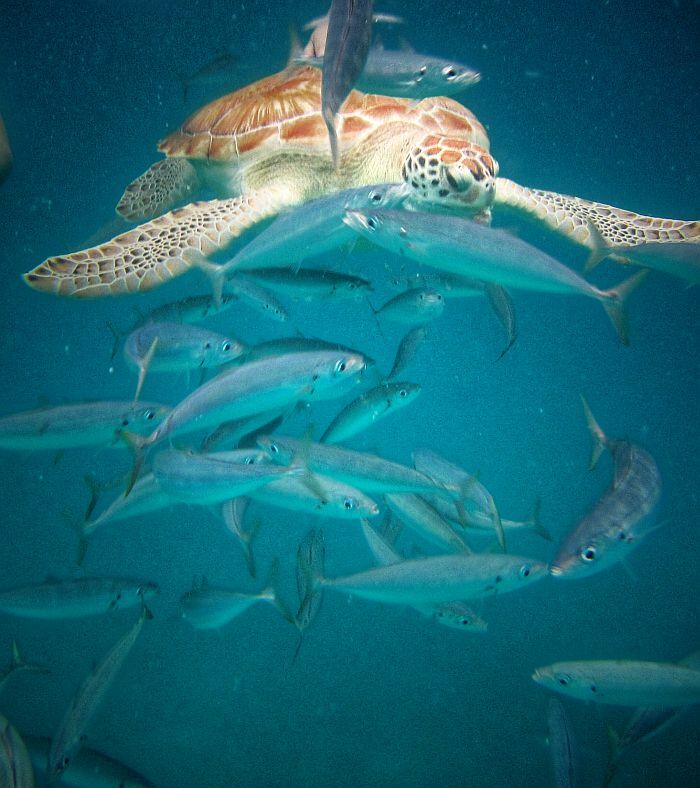 If you swim a little way from shore, chances are good you’ll meet a turtle of two munching on sea grass. If you didn’t bring snorkel gear, don’t worry. You can rent everything you’ll need on the beach. Two restaurants bookend the beach, so you won’t be hungry or thirsty. If it’s a busy beach you’re after, St. Maarten’s Maho Beach has a constant crowd. 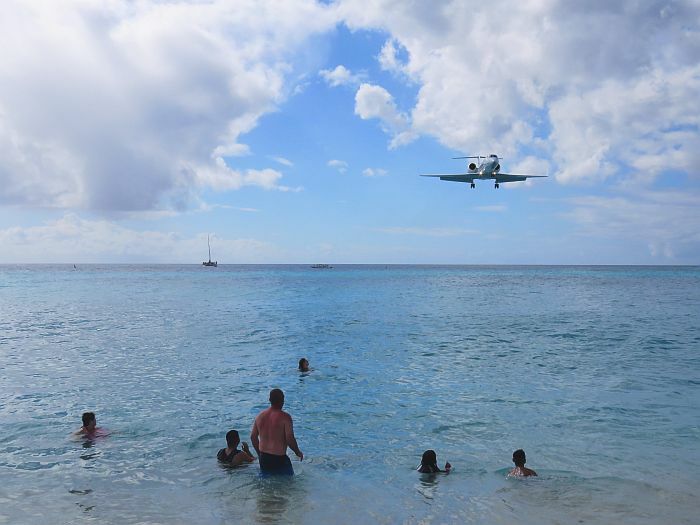 Located right next to the runway of the island’s main airport, plane spotting while you’re swimming is a thing here. So is losing your hat, or even beach towel, if you’re not careful. The Caribbean easily lends itself to cruising, especially if it’s your first time visiting the area. I was sailing with Carnival and in a week I visited six islands. 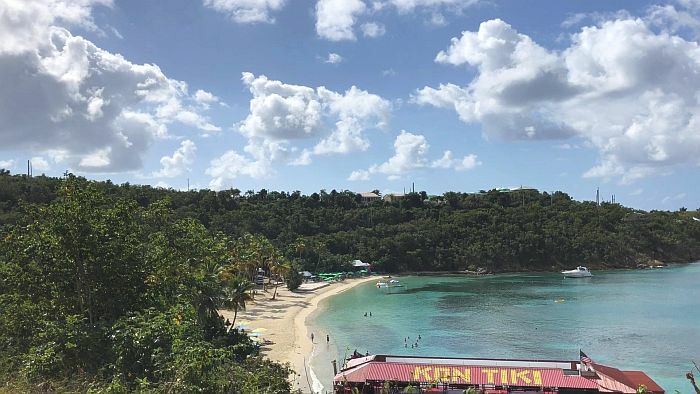 Unpacking once, and waking up in a new spot every day is a nice introduction to the Caribbean, and a great way to get a sense of what islands you like best. Barbados is a favorite spot for many Caribbean regulars. Getting out on the water is easy here. So is getting in the water. You don’t have to be a diver to see and appreciate what lies underneath. You can easily snorkel a shipwreck here. Running into a turtle is a possibility as well. The Caribbean isn’t just about beaches. Some mountains pop up from time to time as well. Welcome to St. Lucia. 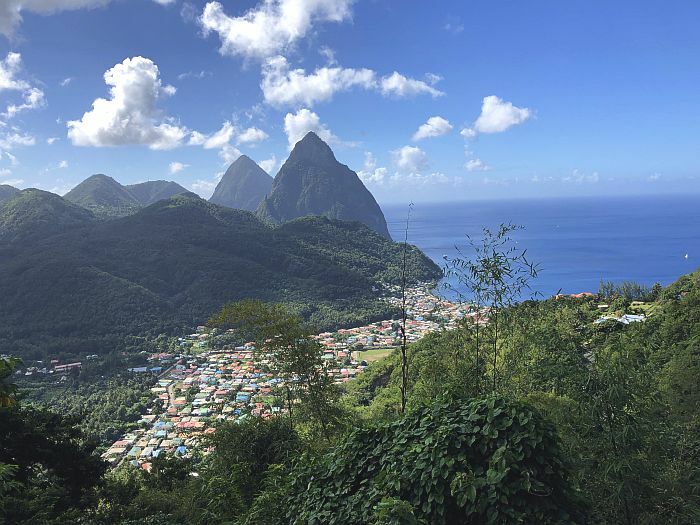 The Pitons tend to steal the show here. Along with hiking, you can do some splashing at Toraille Waterfall if the mood strikes you. Tours are plentiful, and if you’re the adventurous type you can even rent a car. They do drive on the left side of the road, so consider yourself warned. If you’re simply in the mood to relax, that’s as easy as spending the day at the beach. 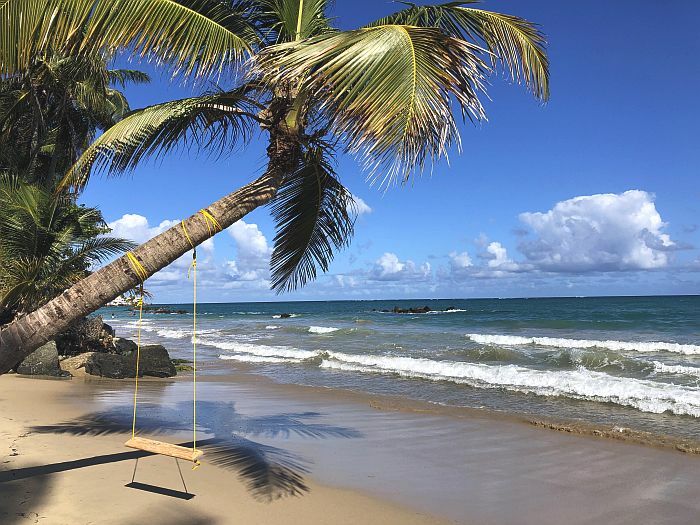 A 20-minute or so walk from the cruise port, and you’ll have your toes in warm sand. Dana’s cruise was hosted by Carnival, but as always her thoughts and opinions are her own.